The training continues. There is no other option. The Texas Water Safari is now only months away. 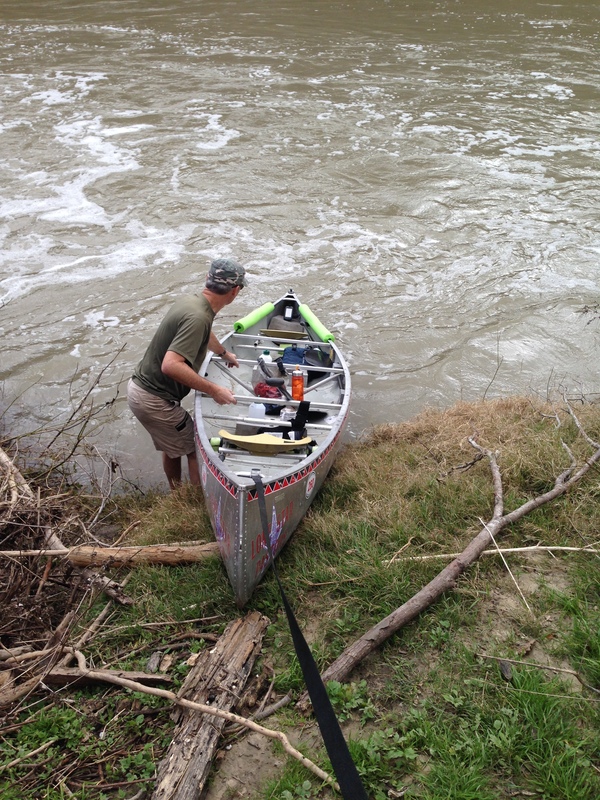 The only way to survive this grueling 260-mile ultramarathon canoe race is spend a lot of time training on the river. 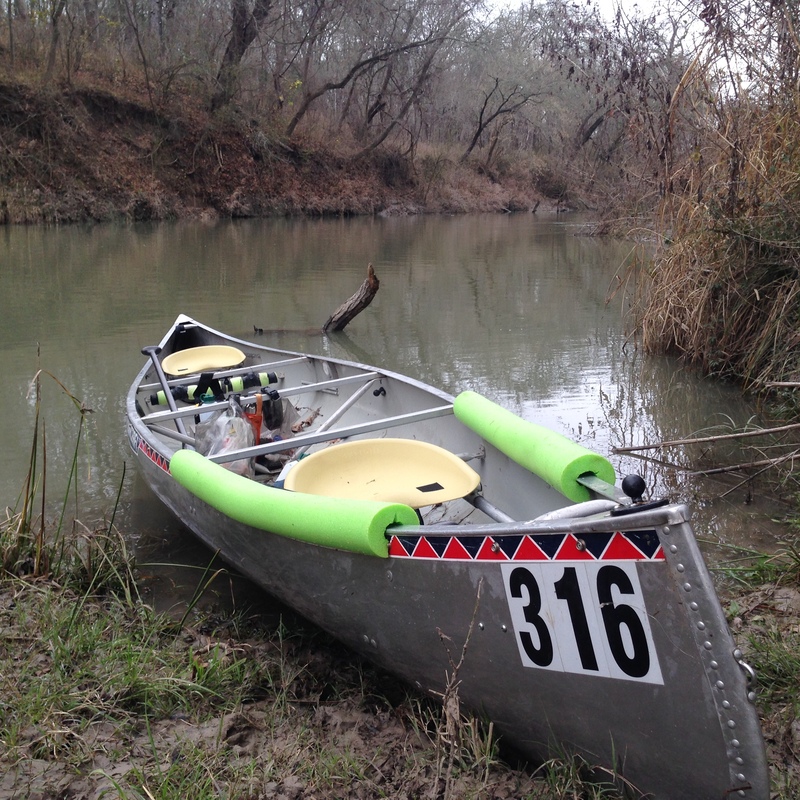 My friend Doyle and I will paddle together again this year in our Alumacraft Voyager — not the fastest but a very stable and tough canoe that can stand up to the beating the river dishes out as it winds its way from San Marcos to San Antonio Bay in the Gulf of Mexico. 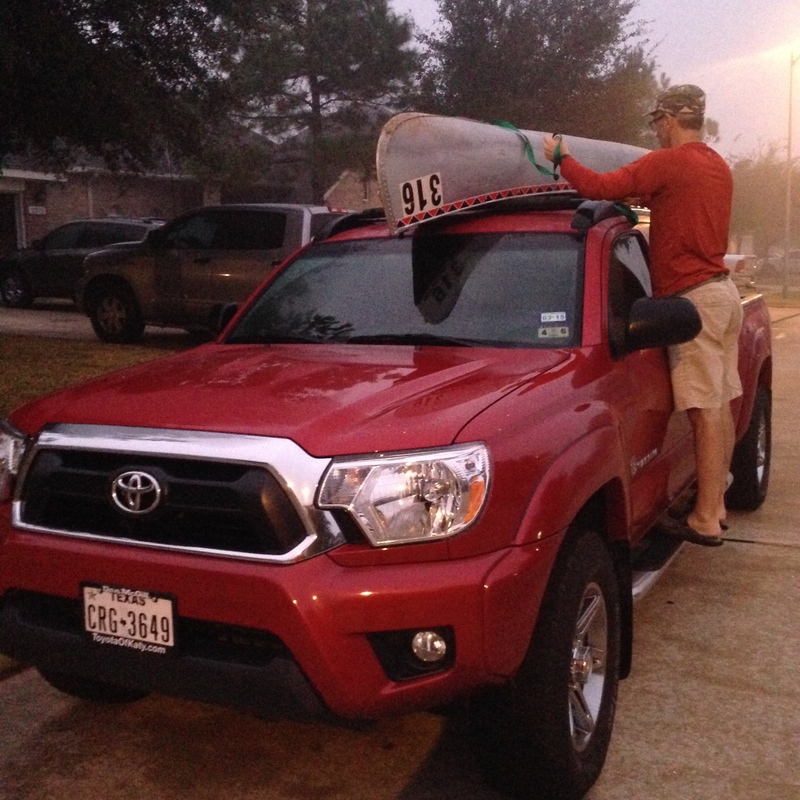 Yesterday morning we lashed our canoe atop Doyle’s Tacoma and headed to Zedler Mill Dam in Luling for a quick 15-mile paddle to the low-water bridge at Palmetto State Park. This should be our shortest training run between now and the safari and a good one to get us back into paddling mode. 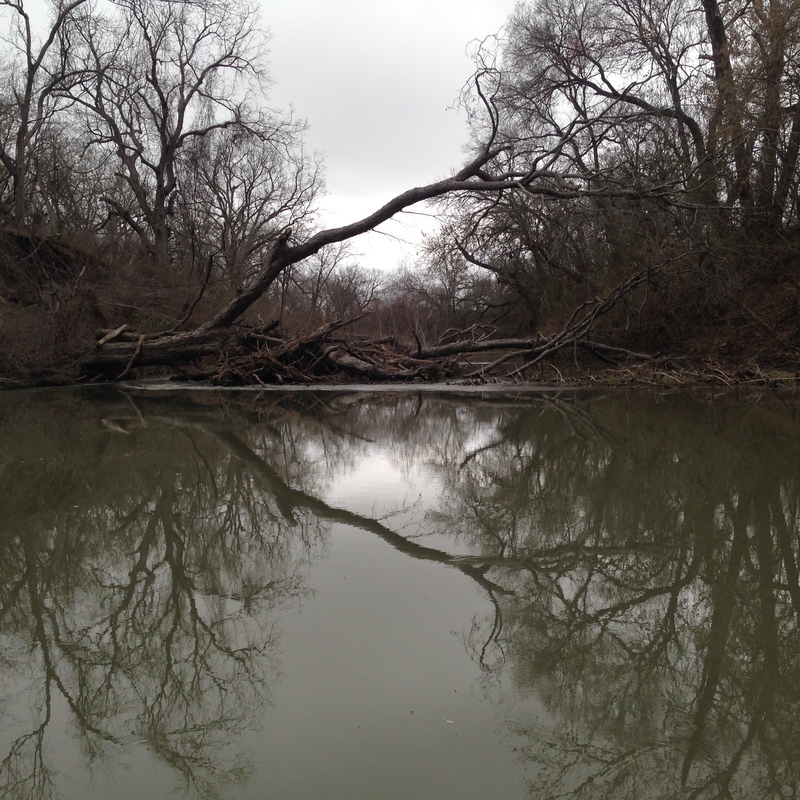 This part of the San Marcos River also presents paddlers with mile after mile of technical challenges that keep you alert lest some slightly submerged log catch you off guard and toss you into the river. Our goal was to do this section in no more than three-hours, a good time for two racers with a combined age of more than one-hundred years! This section of the river also features Son of Ottine rapids and a portage at the soon-to-be-demolished Ottine Dam. Because the water was running a bit higher due to recent rains, the rapids proved to be no problem. We picked a line slightly right of center and breezed through without incident. Fun stuff. The course of any river is dynamic and always changing because water is always moving stuff around. That’s certainly true on the section of the river we paddled. Rains and floods over the past months have pushed all kinds of stuff down the river — creating new obstacles, altering currents, and keeping things interesting. We had to squeeze through more than one narrow break in log jams and under overhanging branches that brought more spiders than usual raining into our boat. Not fun stuff. As we approached Ottine Dam, we made our way to the right bank and stayed clear of the concrete and rebar mess. 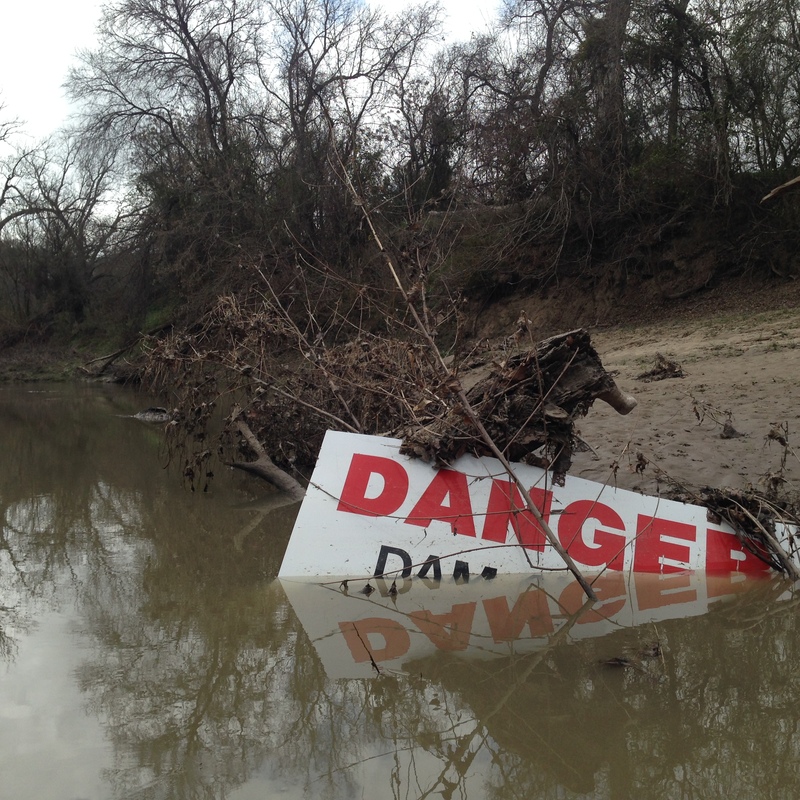 The Danger sign that once spanned the river was partially submerged near the bank, a casualty of flood waters. The portage here is muddy, then sandy, and steep. We managed to do it quickly and then carried our boat along the bank and put in again below the dam. We made it to the low-water bridge at Palmetto State Park a few minutes shy of three-hours. There is something about the Texas Water Safari that gets in your blood. I love that my son Jonathan will also race and that our families will all be involved. I love being a part of something that has too many factors to control and that is really painful and hard to do. I like the underlying fear that every paddler lives with knowing that anything can happen along the way to keep you from making it to the finish line. I think its cool to take part in something that pushes you past where you think your stamina ends. We certainly have a lot more fun and pain to look forward to in the coming months. And that’s ok.